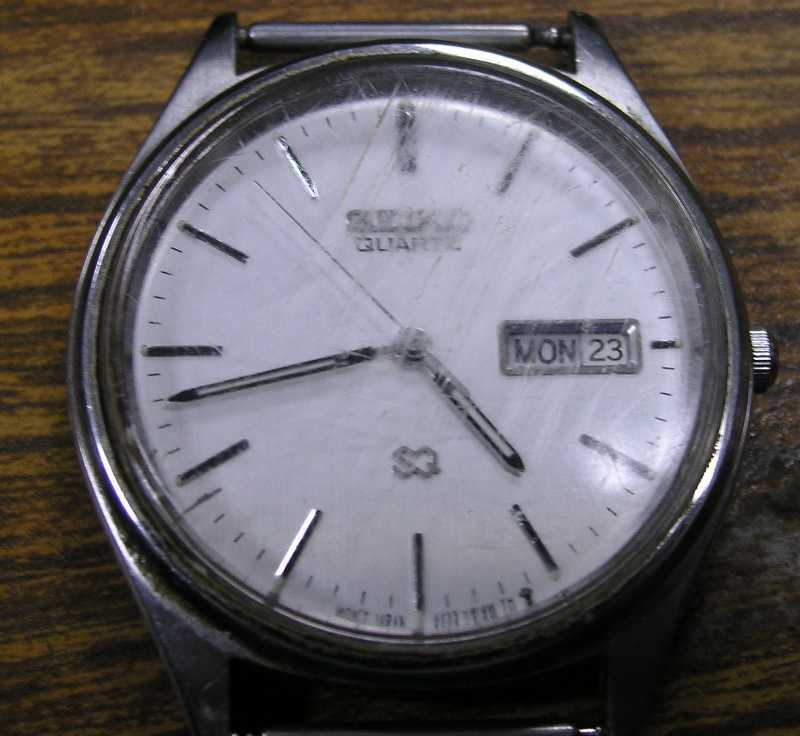 Pretty sad looking for a watch which probably cost about $100 new, just 20 years ago! Well, here is where Brasso and some hard work come into play! After about 10 minutes of polishing and cleaning, then 5 minutes on the polishing wheel, this is the result. 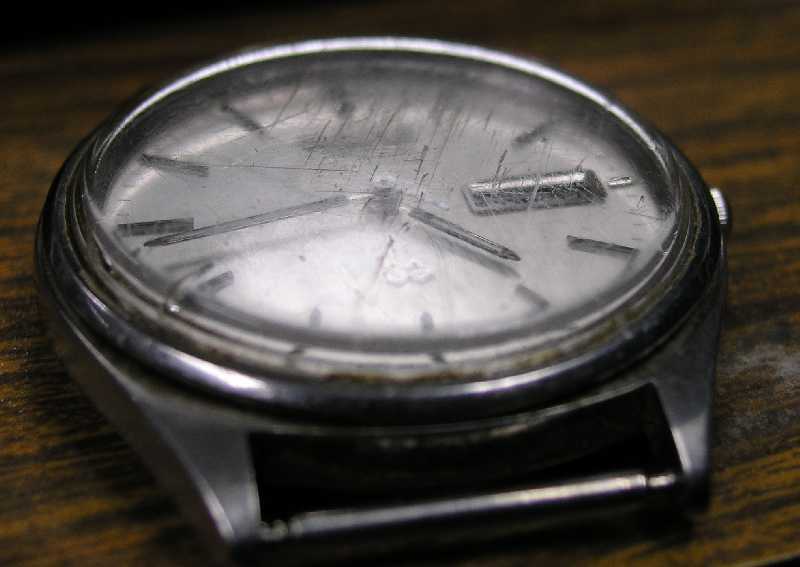 The watch almost looks brand new now. 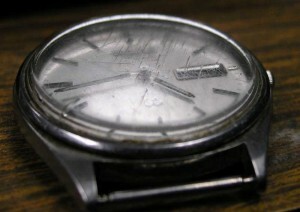 It also has a stainless steel case, so it is a perfect replacement for my base metal Timex beater. The case is all stainless steel with a flat crystal. It will be a beater, but what a beater. 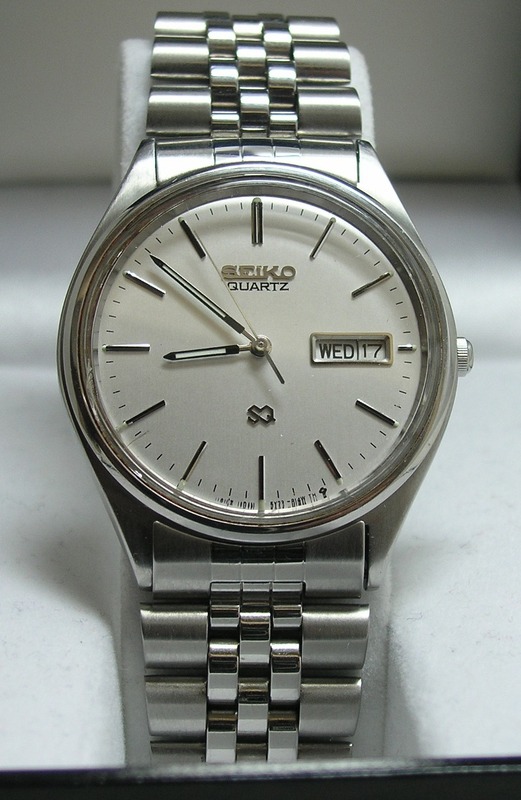 Super clean design for the face and hands, with Day and Date, and best of all, it is a Seiko. I put it on a Timex expedition, leather band. Case: 39mm, stainless steel, water resistant. 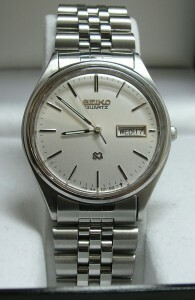 Back: Stainless Steel, screw on, Seiko serial number made August, 1990. 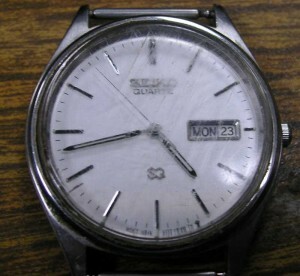 Movement: Battery operated quartz, SQ series 5Y23, made in Japan, Seiko in house movement. Other: Leather band, aftermarket. 18mm lugs.